It’s already been 2 weeks since I have been back from my trip and some of it seems like a dream. Was I really there? Was that me in front of the Seven Wonders of the World? Luckily, I have photos, so I guess it did happen after all. Before going on, I’d like to thank Tourist Israel for helping me plan this trip and making it possible. They arranged my visit to Petra from Tel Aviv and did an amazing job. But as always, I’m keeping it real and all opinions are 100% mine. At 4:00am my alarm went off as I laid in the bed staring at it. I hadn’t slept at all. I was just waiting with restless anticipation. This is it, today is the day. Soon I will see the warm rays of sunlight as they illuminate the Rose-Red city of Petra. Tourist Israel booked all the flights for me and took care of every detail, so all I needed to do was pack my backpack and head to the Sde Dov Airport. 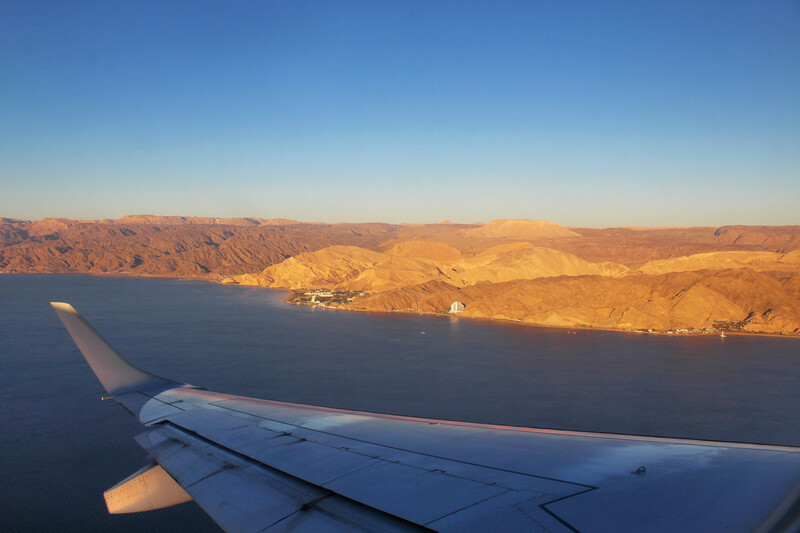 After a weird security interview, we were on our way to Eilat, and before I realized, we were already at the Israeli border. At the Jordanian side, we were met by the coolest tour guide ever, Assaf, who helped us getting our visa, and after one hour of total time we were in the vans for Petra, super excited. At 2pm we reached the main gate. At that point, I was beyond thrilled. I was a mixture of nerves, happiness and pure bliss. But wait, let’s just back up for a moment. What is Petra, exactly? 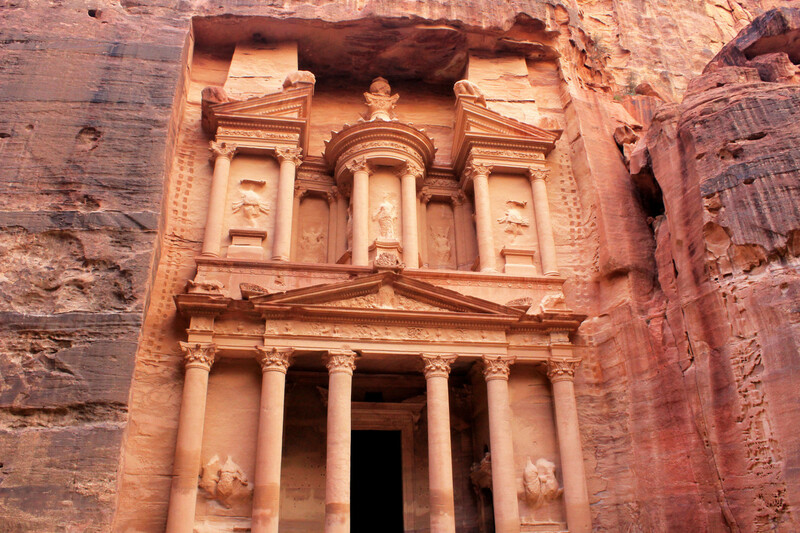 Petra means “rock” in Greek, fitting for a town literally carved out of desert cliffs. It is located about three hours south of Amman, the capital of Jordan, and was built by the pre-Roman Nabataean Kingdom around 600 years BC. It is half-buildt, half-carved in the rose-red rock and surrounded by sandstone passageways and canyons that stand as natural barriers and seem to envelop anyone walking through them. A trading center and impressive fortress, Petra was a bustling city around the 6th century BC, but after an brutal annexation to the Romans and a large earthquak trade routes began to change, and by the 7th century AD the only people who remained in the city of Petra were the local Bedouin tribe. 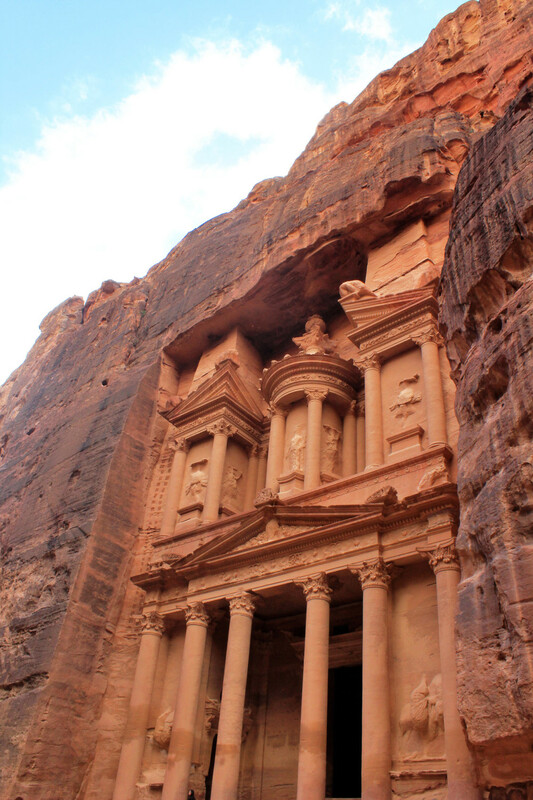 Petra was not even known to the Western World until the early 1800’s, when a Swiss traveler managed to sneak into the legendary city, revealing its existence to the rest of the world. 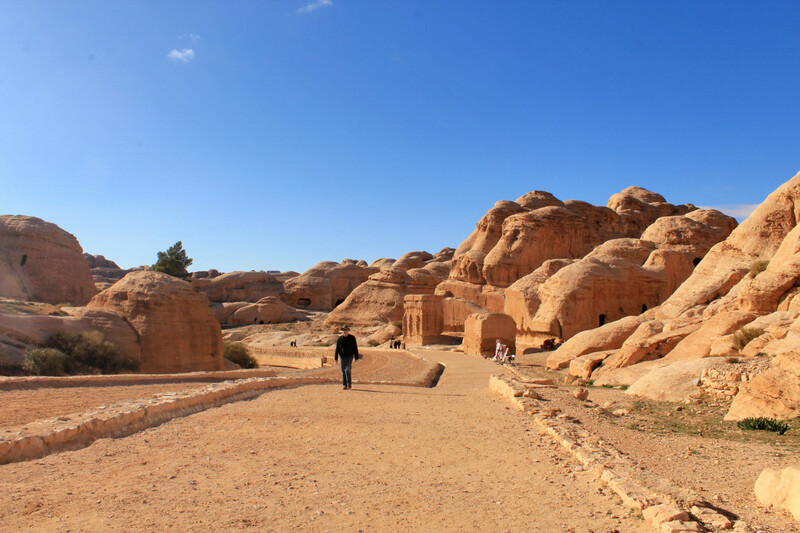 There are many ways to enter the city, but the Nabateans made sure none of them were easy. We entered the city through an impressively narrow gorge called the Siq, almost 2 kilometers in length, with impressive 70+ meters rock sides. Just walking through the Siq was an experience in itself. The colors and magnitude of the rocks were astounding. It was not long before the striking vision we were waiting for fell upon us, and as we reached the end of the Siq, we caught our first glimpse of the Treasury. Every step I took revealed a little more of the façade, more details, more marvel, more wonder, until I was there, in the plain open space in front of this glorious 43 meters tall façade. For the first time in a very long time, I couldn’t believe my eyes. After some silent contemplation, we decided to soak up our knowledge of Petra. The Treasury is the meeting point for lines of camels and Bedouins switching between different languages as they connect with international visitors, and you’ll be surprised at how willing they are at sharing tales of their homeland with you. Many of them were from Petra and spoke very good English, and started telling us fascinating stories about what it was like living in Petra back in the day. After maybe an hour of chatting and picture snapping of The Treasury, it was time to move on forward with the rest of Petra. The Treasury might get all the attention, but it is just one building. Petra was a city. The site is spread out across several kilometers, and after exploring the corners and crannies of ancient burial places and Roman ruins, we made the brave decision to hike all the way up to the Monastery, also know as El Deir. It was an hour’s climb on a rock-cut path of 800 steps. Yep. We were conscious that we didn’t have long till sunset and we kind of seemed to be the only people beginning the climb, but the call of adventure was too strong to ignore. 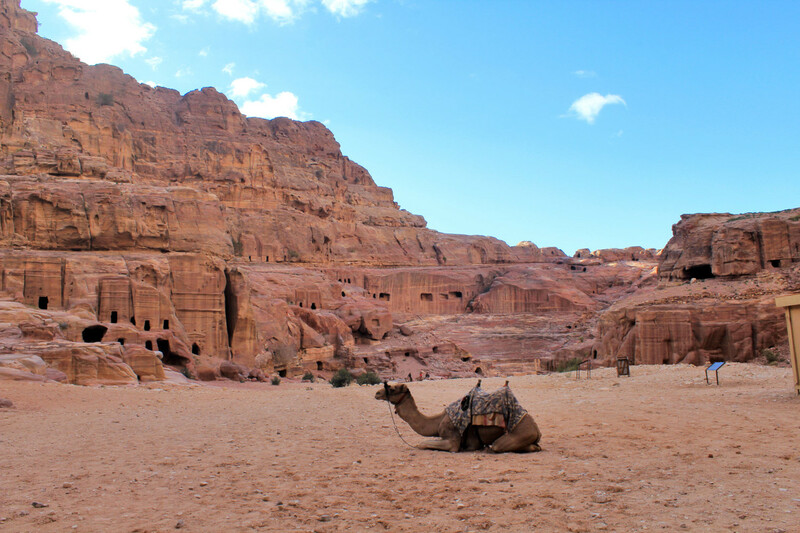 For those who find the hiking too tiresome, you can easily pay for a relaxing ride up for a few Jordanian dinars, as you’ll find almost any form of animal transportation – camels, donkeys and horses – on the grounds. I’m pretty sure my mouth stayed open for a few solid minutes. “Worth it, right?” said a Bedouin that was watching this scene from far. Oh, boy, was that an understatement. 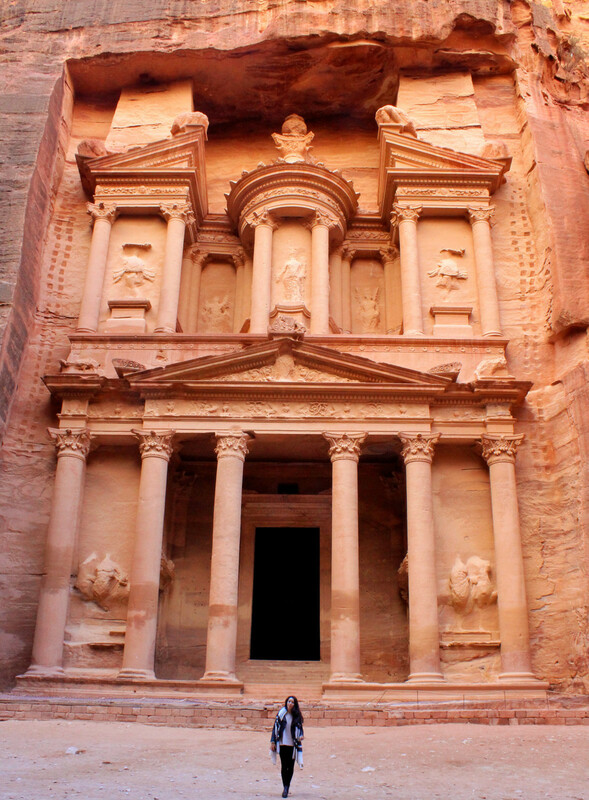 The Monastery sits at the top of Petra like a Queen on her throne, majestic and magnificent. Don’t know why the Monastery isn’t the one that is world famous, but it absolutely should be. From there, we trekked the last bit leg of the trail to the “End of the World”. From that vantage point, staring down at the valley below, it did feel like we were standing at the edge of the world. On the way down, we passed some people struggling to hike up the slippery rock, but not giving up. You can find the details of the specific day-trip I took here, you’ll find also the two day tour option. Tourist Israel team did a remarkable job arranging everything (Ben and Lara, I’m looking right at you!) and they communicated with me through out the process. I couldn’t be more satisfied and pleased with every detail. It was definitely a long day, but we were rewarded with an unforgettable experience, so I highly recommend this tour. Note that if you choose to see Petra on a day-trip from Israel or Egypt without spending the night in Jordan, the fee will be around 90 JOD (~125 USD). 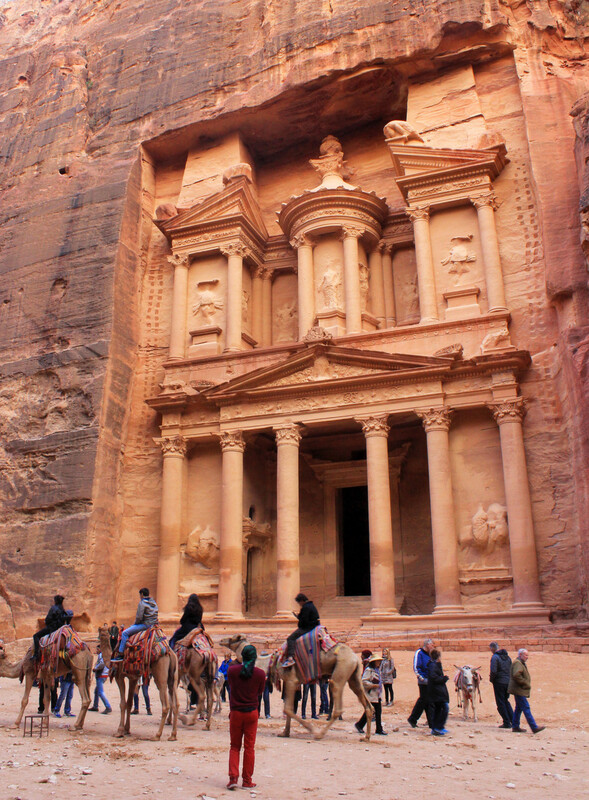 Surprisingly – or not – it is cheaper if you are staying at least one night in Jordan. Those visitors pay 50 JOD for a day pass and can add one or two extra days for 5 JOD per day. I definitely recommend getting at least the 2-day pass if you have the time. 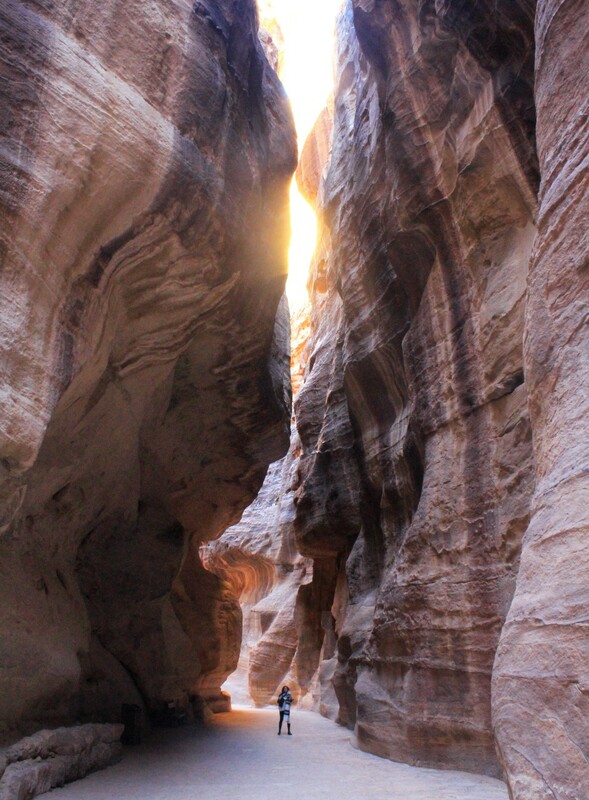 Petra is located 90 minutes from Wadi Rum by bus and about 3 hours by car from Amman. Public transportation is quite cheap, but they do not run on a schedule. Also, the site is easy to explore on your own, but you can also find a guide inside for around 50 JOD if you prefer to have someone to walk with you and explain the history of the site. Visiting Petra was truly a once-in-a-lifetime experience: it left me in awe, inspired me and made me acknowledge my strengths. I will forever be grateful for my time in Jordan. If you have any questions or comments, feel free to share below. Thanks for reading! 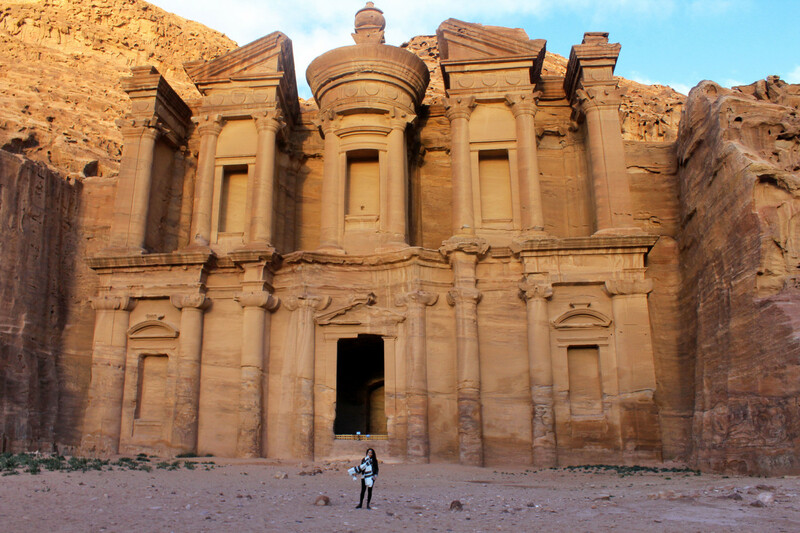 HAVE YOU EVER BEEN TO PETRA?